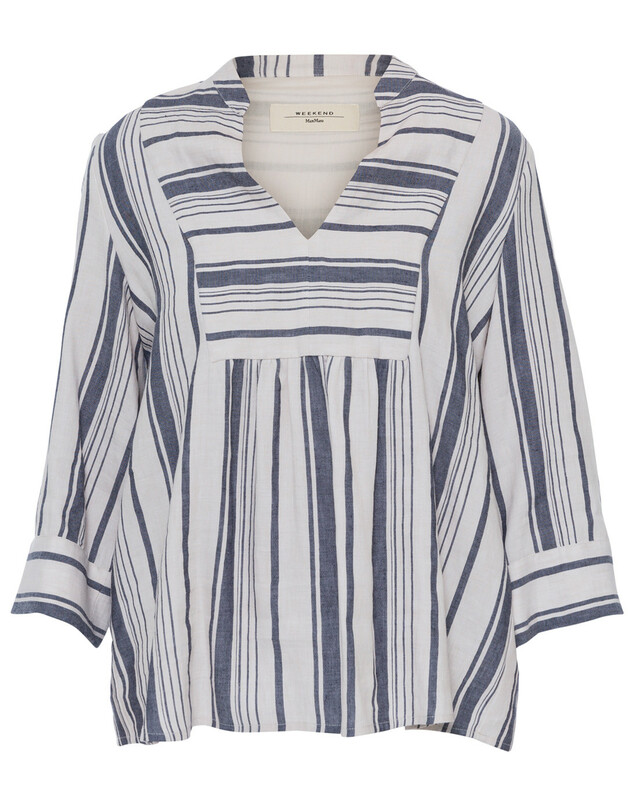 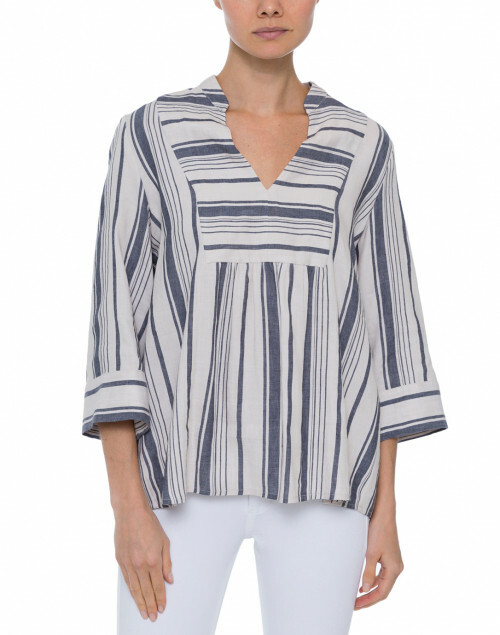 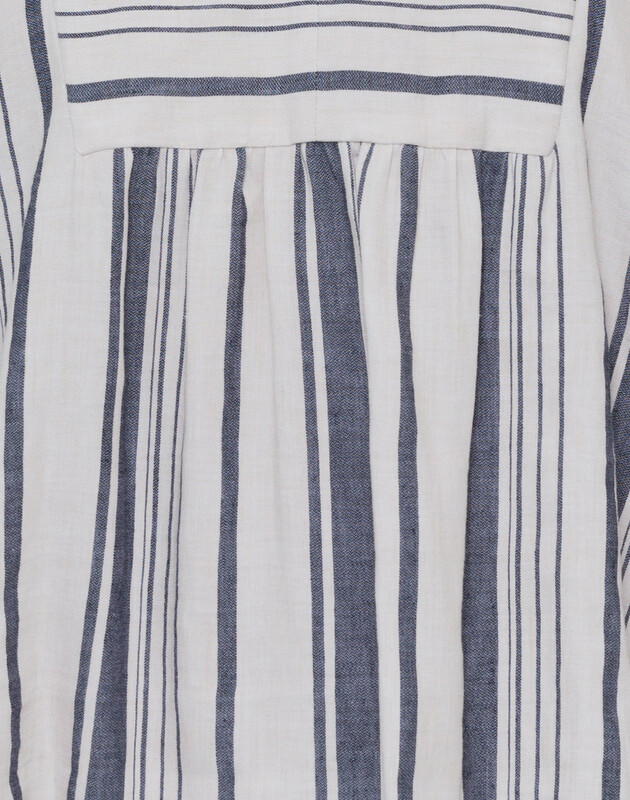 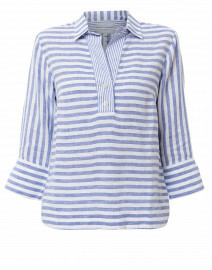 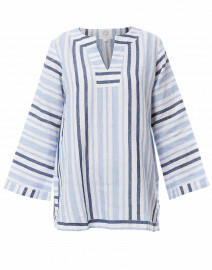 Weekend Max Mara's striped Tandem top will bring rustic elegance to your wardrobe. 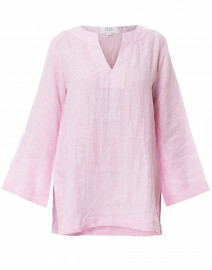 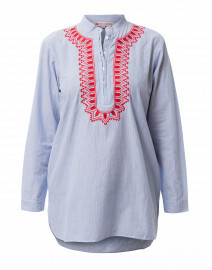 Crafted from breezy linen-cotton blend, this style is shaped with relaxed 3/4 sleeves, and a V-neckline. 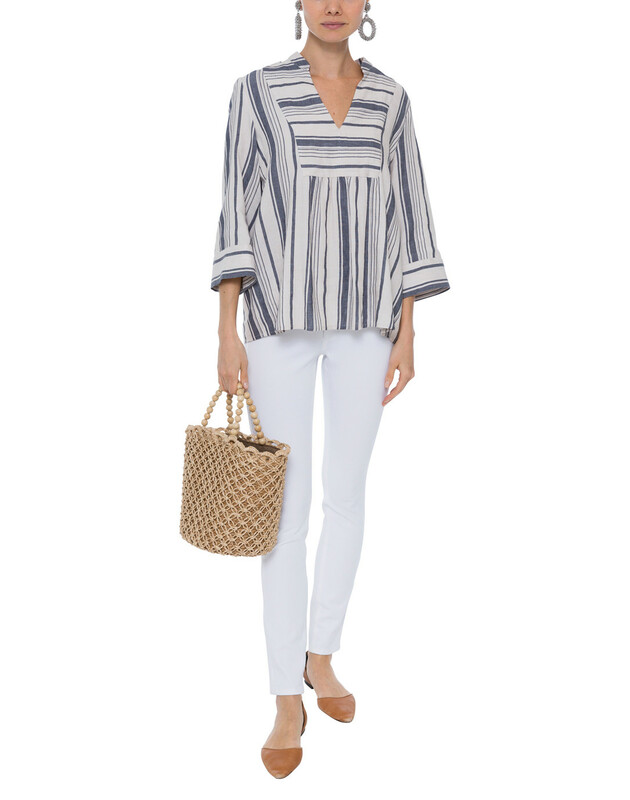 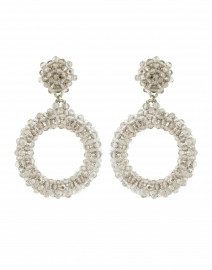 Pair with white jeans and a straw tote for summer-inspired weekend look. 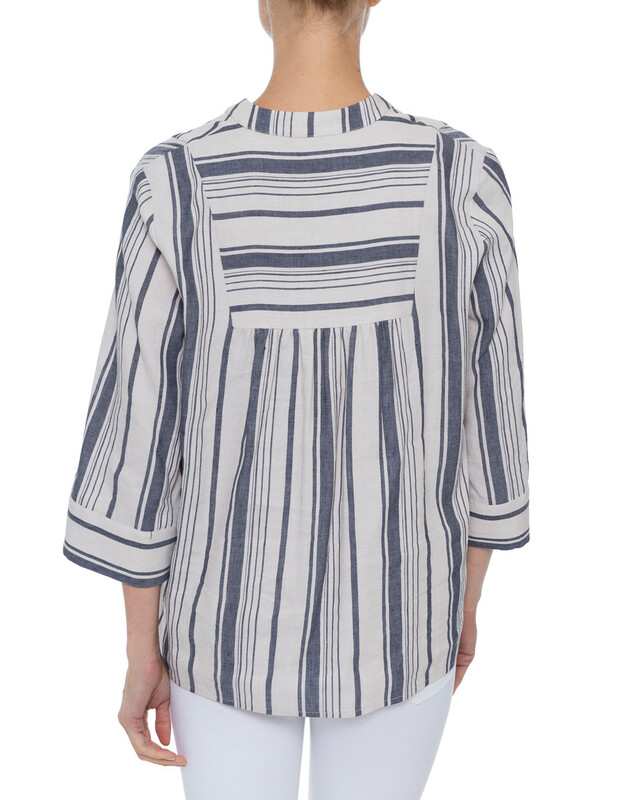 Waist 42" 45" 48" 51" 54"
Sleeve Length 17.5" 18" 18.5" 19" 19.5"